The PSNI has sealed off Portavogie harbour in Co Down after male human remains were found. Human remains have been discovered at sea near a Co Down harbour. Police are currently at the scene at Portavogie Harbour. Efforts are underway to establish the identity and a cause of death of the deceased. There are no further details at present. 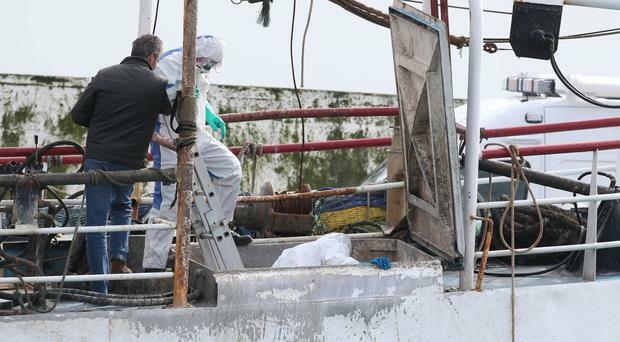 Strangord MP Jim Shannon said that a fishing vessel had discovered a body near the harbour. "PSNI are asking people to take alternative away from the harbour if at all possible. Such a sad discovery, thoughts and prays with a family who will soon hear bad news," he said. Strangford Alliance MLA Kellie Armstrong urged people to avoid the area to "allow the PSNI and other services to deal with last night's incident". SDLP Councillor Joe Boyle said: “I would appeal to anyone with information to contact the PSNI at this time."